Some think that an interview with a personality can be revealing for a certain matter of actuality. You read the title and then you search for the answer in the text, impatiently, and many times without finding it. It is more difficult to make an interview with the history of the opera. I find the topic inexhaustible and I would feel discouraged if I had to cover it completely in an interview, no matter how long this could be. I had the immense honour to discuss with Virginia Zeani, a part of the opera legend. 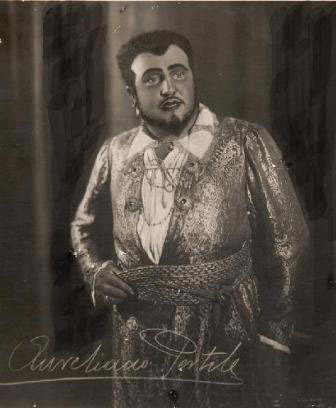 To start your musical education with nobody else than Aureliano Pertile, then to sing with Beniamino Gigli, Ferrucccio Tagliavini, Giuseppe di Stefano, Richard Tucker, up to Luciano Pavarotti and Placido Domingo means to traverse the glory of a height era of human voice, that of the greatest opera singers of all times. What can you ask history? What answer can you expect from history? I admit I felt discouraged while choosing the questions for the interview. But all the doubts disappeared instantly when I discovered in Virginia Zeani a young, even playful spirit, and, most of all, a charming intelligence. All this dressed up in a perfect Romanian, spoken with impeccable articulation, ennobled by the 65 years spent abroad. On the 21st of October, Virginia Zeani celebrates her 87th birthday, and the interview was made with this day in mind. Happy birthday, Virginia Zeani! 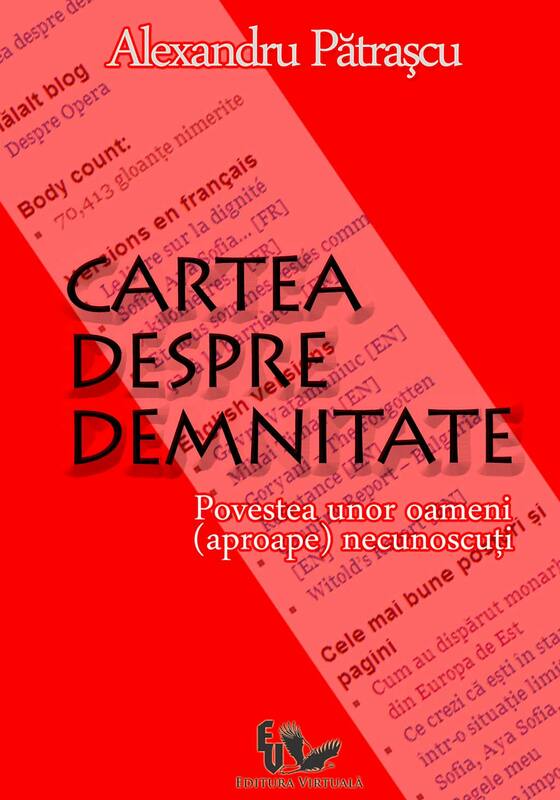 Despre Opera: Did you have any fears when you left Romania? Could you guess what was going to happen in Romania in the next 50 years? Virginia Zeani: No, no, I could not have this intuition – everybody thought that, in the next 3-4 years, with the support of the Americans and of the United Nations, Romania would be freed of communism, but this happened only so much later… When I left, I thought that, after 3-4 years of fantastic studies in Milan and Italy, I would return home, see my parents and maybe start a career in Romania. But this did not happen. 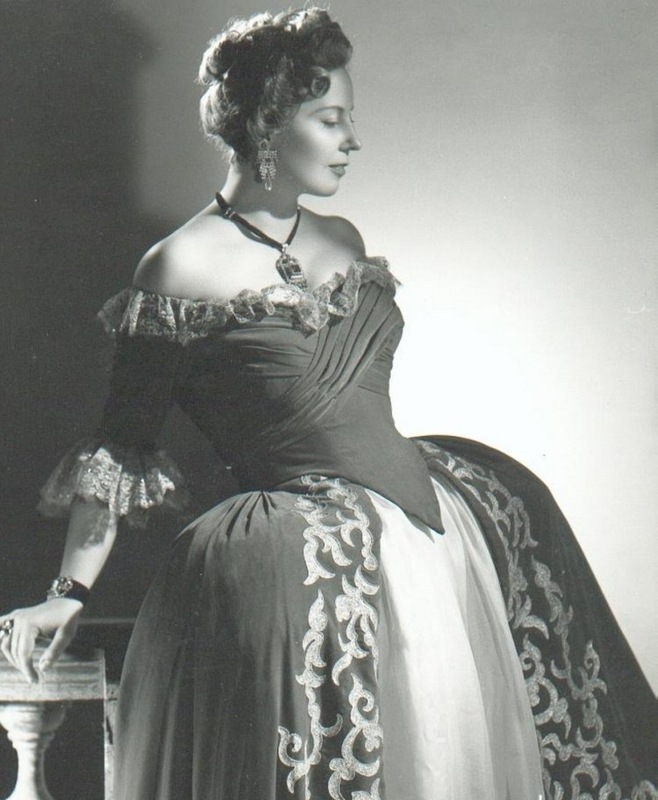 Meanwhile, in ’48, as an important soprano of that time was sick, I was asked to replace her, in Bologna, so I made my debut in La traviata, without orchestra rehearsals and only with my piano rehearsals. This was my debut, on the 16th of May 1948. Well… if I look back today, I could say that was very brave. I have been very brave… I must tell you a strange thing: I was very brave and I trusted the future I was building step by step, without knowing exactly where it was going, of course. But I felt there was something about the knowledge I pretended to have at that time and about all the rest that developed while I was singing opera after opera. This something told me I was going to have an easier life than the one in my youth. And this was not the only motivation – I also adored singing, I adored music. And I did not graduate a music conservatory, I did not study music in an academic way, like many of the great singers today. I will give you only one example – Angela Gheorghiu, who is the greatest singer in the world, I am sure of this. I did not have this privilege, to go to the Conservatory, but I had a very strong ambition to study, to become better and better, and I did all I could do… I do not want to make this sound as education in a Conservatory is an absolute thing, but it is useful, the same as high school is useful. If you go to high school, you become a cultivated person, if you don’t go, then you have no direction, at least from the cultural point of view. What matters is to be compelled, when you are young, to study music, to study piano – Angela Gheorghiu, for instance, is very profound in these aspects… I did not have this chance and I regret it. If I could turn back time, I would go to all the conservatories in the world! (she laughs, n.n) Just to be better! Since I was 4 I have known nothing else but music, this is why the title of my book is Canta che ti passa – unfortunately, it was published with this title, in Italian, but it means Sing, sing, and you’ll get over it… And this is what I have been doing all my life, I have sung and I have got over all my pains, and sorrows, and sickness, and over the memory of the persons I did not like, I got over all these easily. Because I can forgive quickly and this is one of my weak points: I forget if somebody hurts me. Deep down in my soul, I sometimes keep a bitter memory, but generally I forget. Despre Opera: In Romania, before leaving for Italy, were you listening to opera music? Where? On the radio? On vinyls? Who were your favorite soloists? Were there anybody you would have liked to resemble to? Virginia Zeani: Yes, I listened to a lot of vinyls while in Romania, there was a doctor, a famous one, who gathered us, Lipkowska’s students, to listen to music, every Sunday afternoon. I keep his memory in my heart, he was an old man, with a beautiful family, he had a splendid house and we used to go to him on Sunday afternoons, at around 2 or 3 o’clock. We were a group of artists, including Zenaida Pally, who, even if she was older than me, came to sing. I remember that I sang the quartet in Rigoletto with her and I knew she had a superb voice… she was a mezzo. Of course, all these voices stayed in my mind. I did not listen to Hariclea Darclee because she had no recordings at that time, but it is obvious that I wanted to sing like Amelita Galli-Curci (she laughs, n.n. ), who sang at that moment, or like Toti dal Monte, of course this was what I wanted…. You know, you want to sing things that do not suit you vocally, but you simply want to sing them all! I liked to sing Madama Butterfly – Un bel di vedremo, even though, when I started to sing this aria and the duetto, I was only 13 and I read music pretty well. I made this duetto with a doctor, Grigorescu, Adriana Lăzărescu’s father. By marriage, she became Lăzărescu, she was doctor Grigorescu’s daughter and she still is my best friend in Romania. She is well-known for her translations from Italian. So, I studied music with her father, who was around 40 – 42, and I was 13 and we sang the duetto from Butterfly. I read it as well as I could for my age and I saw that everybody loved my voice, so I felt very encouraged. Virginia Zeani: Ha, ha, ha! 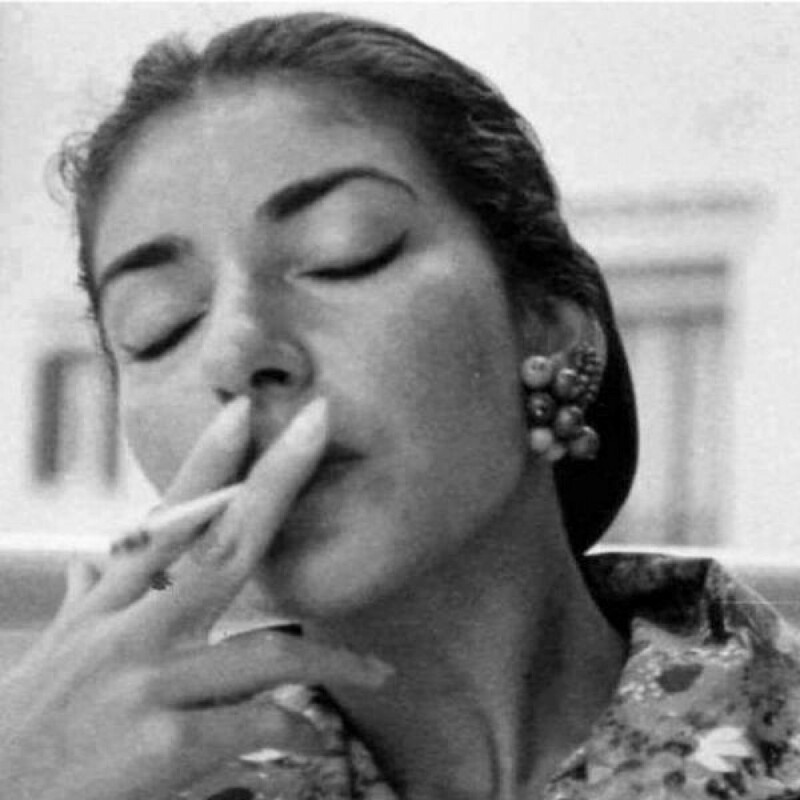 I think it is an opera that fascinates all singers in the world, because tragedy and music are so beautiful together… And yes, it was impossible for Maria Callas not to be fascinated by this opera! I met Maria Callas in the summer of ’47, she came to Italy in the same summer as I did. She arrived in June, on a boat from America, together with Nicola Rossi-Lemeni, whom I was to meet and marry 10 years later. They were very good friends at that moment and travelled together from America to Italy, in exactly the same year when I came to Italy, this was a curious coincidence, that I did not stress too much, because I am quite a discreet person. Lately, people have discovered me and my discretions (she laughs, n.n. ), but they are so many! One day, I will have to write a book about the relations I had with different artists, relations which were never negative. 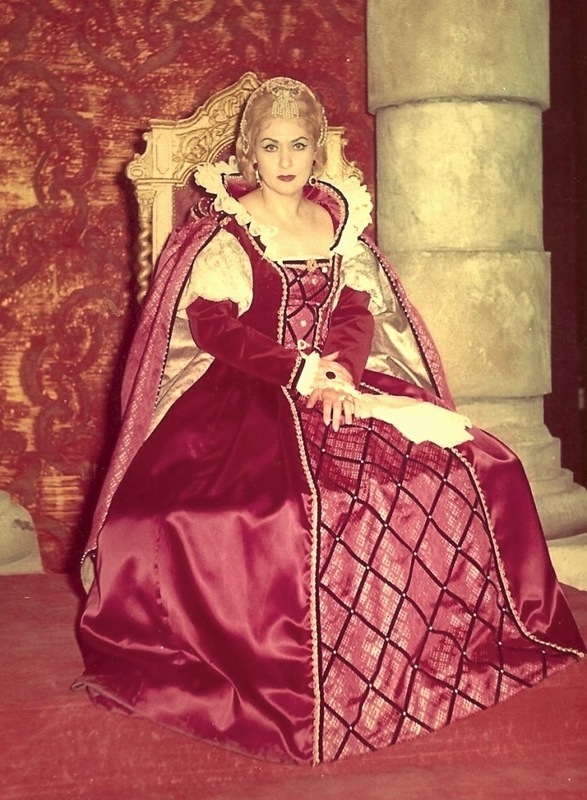 I was friend with the greatest artists: Renata Tebaldi, Beniamino Gigli, Mario del Monaco, all of them… Corelli! My relations with them were very interesting from all points of view and I would like people to know how I saw them. I would like to make this book, but for the moment it is just my dream and I hope to make it come true. If somebody comes for an interview, like the one in the book, I am very happy to speak! I am available. Despre Opera: Somehow, you anticipate one of my questions: can you tell me about Aureliano Pertile, with whom you studied in Italy, when first arriving there? Virginia Zeani: Yes, in ’47, in autumn, until ’48. He died in ’52, I studied with him and I also went to classes he had with other singers. He gave me Italian diction classes – which were very important, because Italian has those double consonants, doubles, as the Americans call them. For instance, we tend to pronounce tuto but the correct form is tutto with stress on the double t. In other words, he taught me how to pronounce Italian so that people understand it well. And you must know that many people learn and speak Italian without thinking about this difficulty, the double consonants, but, to cut a long story short, Pertile was the one who improved my diction. When he first heard me, he said: From the vocal point of view, I can say you are perfect, well, he told me some other things, too, but I do not dare tell them here (she laughs, n.n. ), but I want you to improve your “fraseggio”. This is what he gave me from the musical point of view, the advice to use my voice in such a manner that people understand the words. People sing, sing, and do not use words to transmit their soul, or they are just indifferent and they listen only to their voice. Despre Opera: Was Pertile still singing at that time, was he still active? Virginia Zeani: No, no, he had sung more than 20 years with Toscanini and now he was retired, he was over 60, around 62, I do not remember exactly, and I was 40 years younger than him. But the opera annals mention me as his only student. Because he did not have the patience to teach people who did not understand his phrasing method. Virginia Zeani: Well, yes, Mario made his debut in ’40, this is how he saved himself from going to the war… So, you see… there are things that you keep learning all your life. If I turned back in time, I think I would do many things completely differently than I did them… So, let’s not analyze what happened with too much cruelty, it is just that life experience gives you more ideas and you get more chances. But now, for me, chances are few, because, as you know, in four days I will be 87, and I am trying to be very young at soul. And I really succeed in having a soul like a 20-30 years old girl. Despre Opera: Does the lyric artist belong to a country, or to the world? I think he belongs to the world, but what do you think? Virginia Zeani: You are right! The opera singer belongs to the world, but we just put on airs and pretend we belong to a country, or we have a certain color of the skin. The soul is the same, with more or less education, of course… The most important thing for the soul is education – with all that this means: manners, foreign languages – so that it can communicate. Despre Opera: This belief that the artist belongs first of all to the world and then to a certain nation made me propose you this interview, because I have the occasion to speak with a great soprano of the world, and not necessarily with a Romanian one. And we must not forget that, at the peak of your career, you sang in competition with a generation of artists of immense value. Virginia Zeani: Sure, when you think only of Callas, Tebaldi, Caballé, there were many extraordinary sopranos in my time… I remember the northern ones, starting with Flagstad and continuing with Birgit Nilsson… But the Romanians too, they had some of the most beautiful voices and I will tell you why: I think our language helps us, because we have a clear, Latin language and it helps us project the sound more easily than in German. For instance, if you want to project the sound in German, you must give it, as they say, more will, more force. I am not looking for the shortcomings of different schools, even if it’s a German, Mozartian, Spanish or Italian school, they are all very good. Despre Opera: I think Romanians have the advantage to learn Italian quickly and easily, and, by the way, how much time did you need to learn Italian? Virginia Zeani: Well, the fact that I had always sung in Italian, between 13 and 21 years old, even when I was in Romania, helped me enormously and, when I arrived in Italy, in 3 months I spoke perfect Italian. The situation was different in America: when I arrived here, I spoke French, Italian, Spanish and, of course, Romanian, but I was 55 years old, and I sang in Italian with American artists, I did not speak English, only a few words. And I was supposed to teach, so, in 2-3 months I learned English. It has always been like this for me, I’ve always had to do things very quickly…. 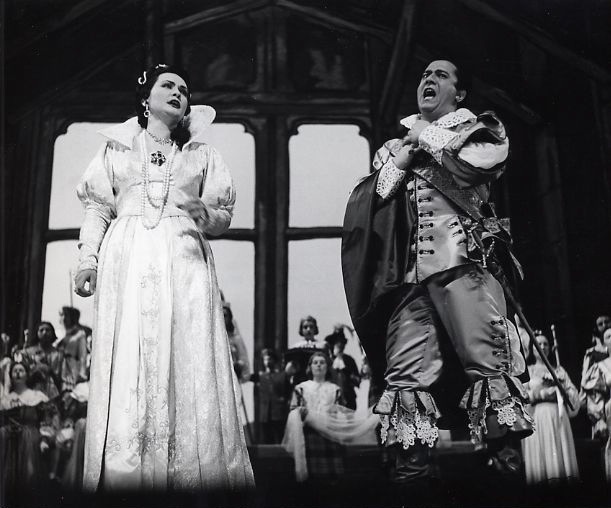 Despre Opera: What sopranos did you admire, when you got at the highest level of your career? Virginia Zeani: There were very, very beautiful voices. Unfortunately, I could not go very often to the opera, because both my husband and I were singing, but I heard very good voices. 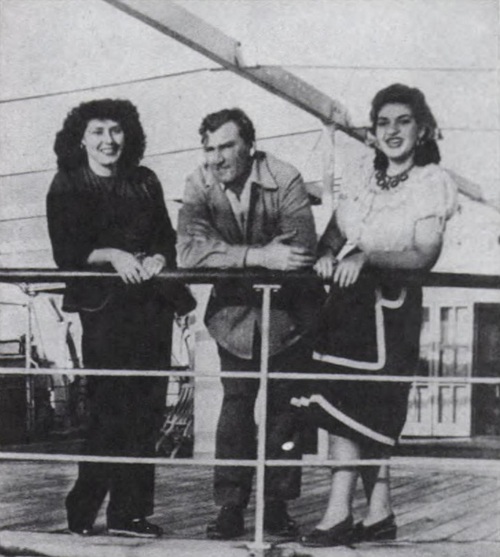 Anita Cerquetti, Caterina Mancini, for example, sopranos who did not have long careers, but who were very good interpreters. Antonietta Stella, or, look, an extraordinary voice, Onelia Fineschi, she helped my career indirectly. 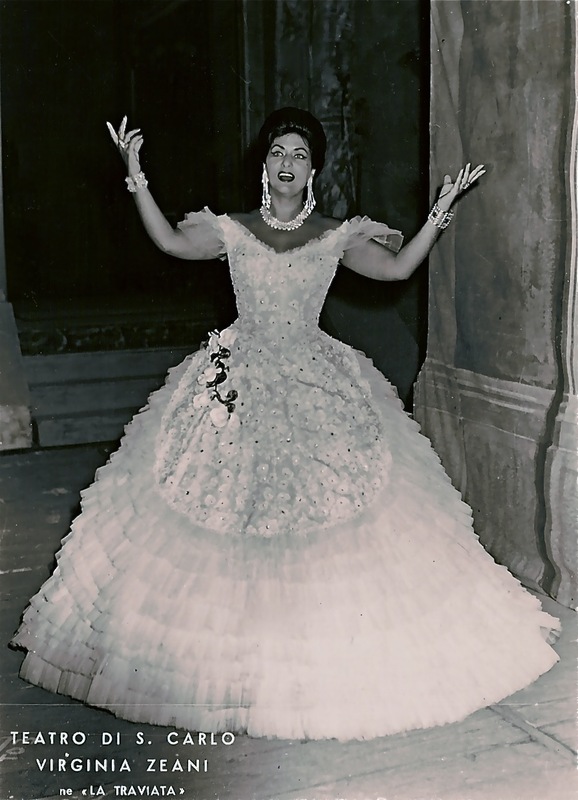 Onelia Fineschi had a superb voice, Tebaldi’s type of voice (in fact, they were rivals, artistic rivals, I mean). 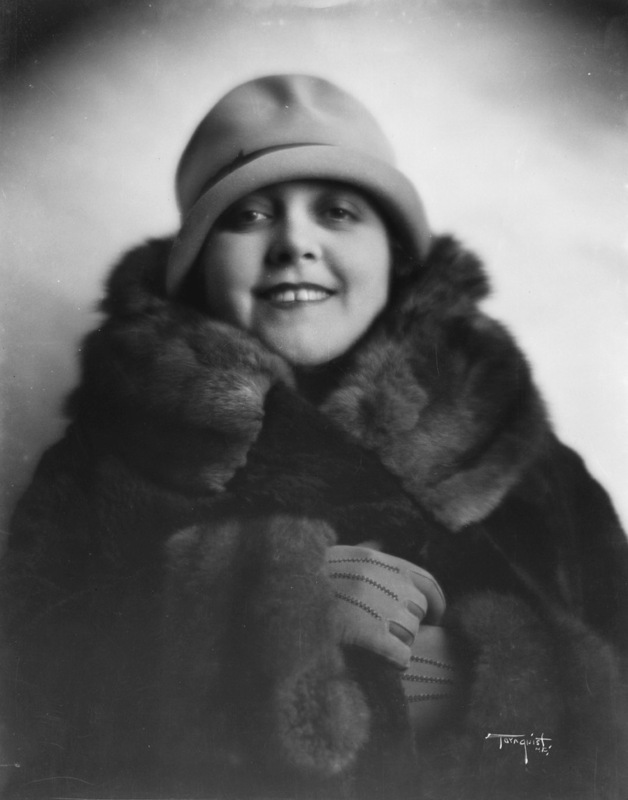 But she had the misfortune of having a child immediately after her first successes and, after a few months, she simply lost her voice, because she could not rehearse and study any more. I think it was also her fault, but also this misfortune of having a child before mastering a canto technique, anyway, she had a superb voice. There were also great male singers with short careers, for instance Annaloro, Antonio Annaloro, I went on tour with him, in Egypt, in King Farouk’s time, where (she starts to laugh, n.n.) he fell in love with a noble lady from the king’s court and he lost his voice because he became a society’s man, too many dinners, receptions, etc. Virginia Zeani: Aaaa, yes! Magda Olivero is a very good friend, I spoke with her a week ago, she has just turned 102! Her voice was very special, it had a tremolo (she phrases, with a deliberate strong vibrato, n.n.) and this tremolo, together with the words she was saying, impressed everybody very profoundly. She had a manner of saying… Io son l’umila ancella (she pronounces affectedly, imitating the accents of Magda Olivero, especially the double “ll”, n.n.) in a way that instantly impressed you deeply, it simply gave you goosebumps. And even if, when you listened, her voice did not seem beautiful, because of this terrible tremolo, the effect she had on the audience was extraordinary. Many of her interpretations impressed me and, in some operas, I took something from her, not from her temperament, but from her way of expressing words. L’altra notte in fondo al mare… (she phrases in the same manner). But I didn’t take anything from Toti dal Monte, even though I liked her very much when I was little, but then I found her voice too open, while I preferred to make vocal colors. Despre Opera: But what about the tenors you sang with, who was the one you liked best? Despre Opera: And now a question where I expect a lot of details. 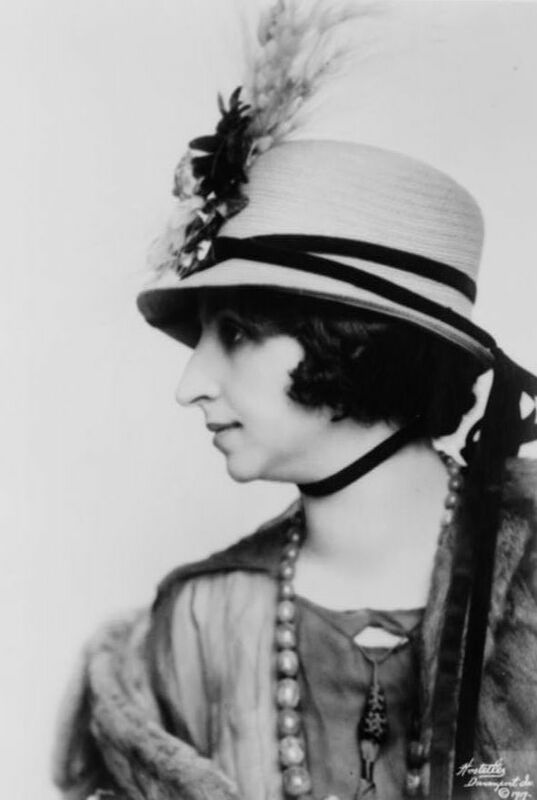 Can you tell me more things about a certain Miss… Violetta Valéry? Virginia Zeani: Hahaha! I’ll tell you something simple and not very long. 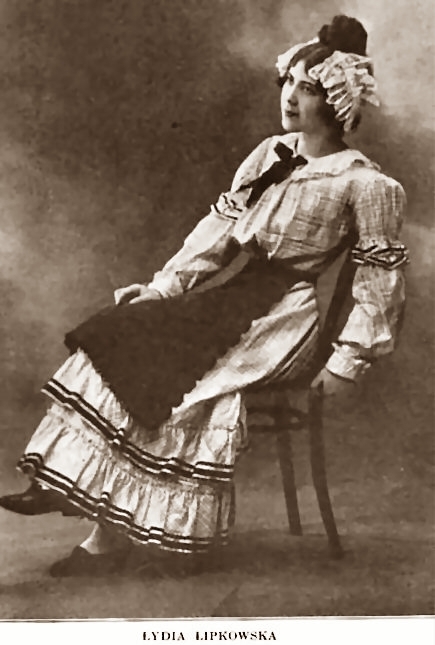 Violetta Valéry has been an inspiration for all sopranos. A very intelligent woman, generally considered as a character of extreme romanticism. Of course, it also depends on the directors who staged the opera. 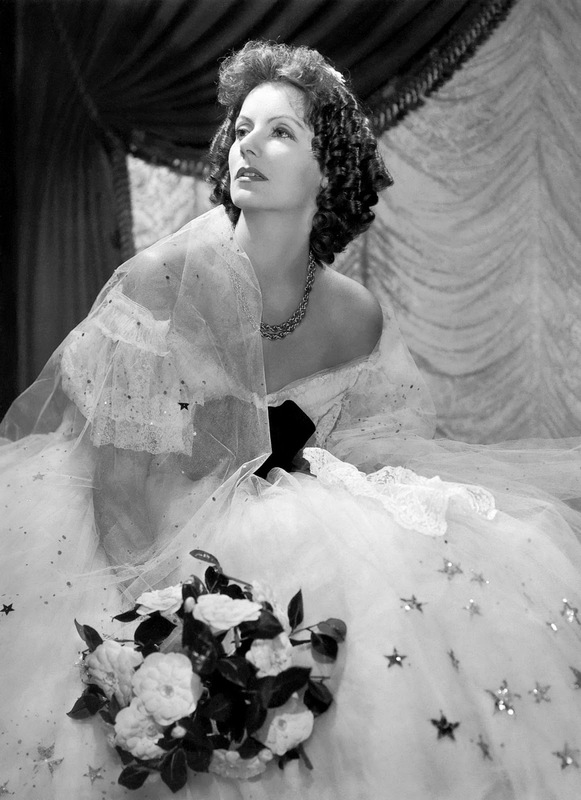 I saw the movie about Marguerite Gauthier, Camille, with Greta Garbo, I was little, 12-14 years old, I went to see it 4-5 times, at noon, after I finished school, I wanted to see her over and over again, and I was very impressed. Some modern director sees her as a completely vulgar woman, but I see her as a 100% romantic heroine, the same as Alexandre Dumas the son saw her. A superb woman, full of sensitivity, delicate, but, as she came from a low social environment, she chose this profession – to be the mistress of very rich men. Alexandre Dumas describes in his book how he saw her passing in a carriage, and she looked like a princess to him, she was so beautiful and she had such elegant manners. Of course, some directors do not want to understand this and make her a call-girl. But I am far away from these thoughts, for me Violetta is sublimated by Verdi. And there are no two Violettas alike, because each soprano creates a marriage between her and Verdi when she sings this role. This is my opinion. I mean, as a soprano, you feel Verdi when you listen to him speaking through this character, you, as a soprano, you transform yourself in your soul, you marry Verdi. So, the marriage of Verdi to me cannot be similar to the marriage of Verdi to another soprano. Virginia Zeani: Yes, indeed, 454 or 456 times, haha! I would say around 500, without the rehearsals. I was supposed to fall on the stage in the last act and, in time, I felt the effects of these falls – the rheumatism, the arthritis I have now are the results of the many falls I had in La traviata and of the kneeling in Madama Butterfly. Many people tell me I should have worn kneepads, but I couldn’t do this, it wouldn’t have been real any more, I was supposed to fall on my knees and I couldn’t even think of wearing something artificial in order not to hurt my knees. And now I am paying for this courage. Despre Opera: In all those years when you sang Traviata, did Violetta remain the same person? Did your perspective on the character change? Virginia Zeani: Of course, there were changes in 30 years. With age, we develop from the psychic point of view and we see things differently. At 20-25, you were doing certain things very serenely, and, at 30-40, you do them with more sympathy for what this character represents. Your voice develops too, the one you had at 20 is not the one you will have at 40, it becomes darker, your body changes too, you put on one, two, three kilos. As instruments are different – the violin’s sound is thin, the viola is a little fatter, the cello is even fatter – so is the voice, without being necessarily fatter, it becomes darker, and the vocal potential can decrease in the acute notes, because you cannot sing them with the same easiness that you had when you were 20-25. Or you can, but only if you cheat yourself, if you change your school. There are different schools, for instance, in the German school there is an attitude supported from the eyes and the forehead and that part of the voice called di testa, the head voice. Look, now I am singing normally: Laaaaa! (she vocalizes normally, n.n. ), but if I had a German voice, a coloratura one, for instance, I would sound like this: Aaa-aaa-aaa! (she vocalizes even more acutely, from her head, n.n.). Can you hear how high this is? I mean you have the possibility to go with the voice even higher, no matter your age, according to the technique. You must have your voice in your forehead. It’s a method I used, too. After 30 years as a soprano, I had a teaching career, with almost the same length. And, not in 5 minutes, but in 20 minutes I realize about any soprano voice what methods she should apply, belcanto, or Mozart, or Wagner, in a way, each composer has his voice, his technique. The only thing I regret profoundly, and now it is too late, as I cannot travel too much, is that Romania has never offered me the chance to show what I know. Everybody has been invited to come and show this, but me, I have never been invited to have a master class. I remember, when I still worked as a professor, in America, around 20 years ago, that I wanted to come, to teach here. I did not want money, I just asked them to pay for the trip! But they did not have money for this. And then I just refused to come. Not that I didn’t have the money to pay for my trip, but all I wanted was this sign of respect. Now, there are so many millionaires in Romania, almost the same as in America, but they think only of their money, they have no plans to help art! Despre Opera: Recently, some millionaires have shown interest in art. It seems there will be a performance with Aida, sponsored by rich Romanians… I don’t know if the names of Viorel Cataramă or Gabriel Marin mean something to you, but they will financially support a new production of Aida, at the National Opera, in Bucharest. Despre Opera: One last question. You say that notes are not enough, that you are not a great artist if you cannot express the soul of a character. Have you ever cried while reading a score? Virginia Zeani: Of course! Look, even Traviata, when I started to read the notes, the role, at the beginning, I cried almost every time… But for others, too, for example Desdemona, in Otello, who impressed me too, Adriana Lecouvreur, then Butterfly, that I had seen in Romania when I was 9, and when I came home I told my mother I want to become an opera soloist… How could one not cry?